If you are a professional photographer, then it is important to understand how to take fantastic photographs of children. Depending on a child’s age, he may have a difficult time remaining quiet during a photography session. Infants and toddlers don’t understand how to remain still during particular poses while being photographed, but many older children are simply annoyed by the entire process. Having a prop can make things go smoother during a photography session, and children often think that props are fun to use. In addition, parents love having props in their children’s photographs, and you might sell more photographs when you use an assortment of different props. Children love putting on fun hats for their photography sessions, and there are many styles of headwear. You might want to have an assortment of hats in different sizes so that a child can look serious or silly. The hat that you choose can look great with a backdrop’s theme to create a special photograph of a child. Some of the hats to have in your studio include a firefighter’s helmet, police officer’s cap or a cowboy’s hat. Some children don’t know what to do with their hands during a photography session, but you can have single flowers or bouquets for them to hold. Alternatively, you might want to have potted plants or baskets of flowers sitting next to a child in a photograph. Additional ways to use flowers in a child’s photograph session include putting one in a child’s hair or pinning it to her clothing. If you have a variety of silly wigs in your photography studio, then you can make a child laugh, and this will create a great photograph. Make sure to have mirrors nearby so that a child can see how she looks wearing a red clown’s wig or a blonde model’s wig. You can also find wigs that have different styles such as braids or ponytails. Keep a variety of eyeglasses available for children to wear for their photography sessions. You can find extremely large eyeglasses in bright colors or small eyeglasses that have eyeballs on springs. Some eyeglasses have frames that have letters to create words or numbers to show what year a child is graduating from elementary school. Have an assortment of easy to wear costumes available for children to use while they are being photographed. The best costumes are simple to put on over street clothes, but make sure to have a fitting room nearby for getting ready for the photography session. Children enjoy dressing up like princesses, animals and astronauts. Neckwear is another essential prop for your photography studio. In addition to traditional neckties, there are colorful scarves and bow ties available. Children especially like wearing oversize neckwear props that are made with silly designs. 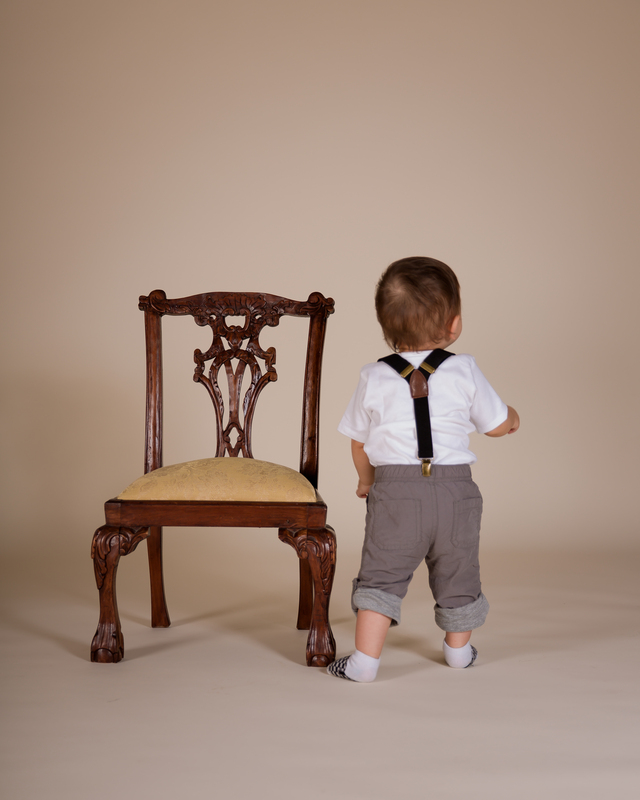 Have different types of chairs for children to sit in while they are being photographed, according to Photo Perfections. Chairs are especially important when you photograph toddlers because it keeps them in one location. There are numerous types of chairs available, including thrones, old-fashioned school desks or colorful beach chairs. Create an attractive photograph with a king’s crown, schoolbooks and beach balls. When you are photographing babies, make sure to have an assortment of blankets such as quilts, crocheted coverlets or comforters. Have a variety of colors and designs that will look nice with a child’s clothing. You can use blankets on a platform while photographing a reclining baby, or alternatively, you can place a comforter over a tiny chair while photographing a toddler. Children think it is funny to wear fake facial hair such as beards, sideburns or mustaches. These items might attach with gentle adhesive or rubber bands. You can find fake facial hair items in an assortment of sizes and colors. Make sure to keep your photography props organized and clean. Parents won’t want their children wearing dirty or germy props on their bodies or faces.